Today 3DR announced Solo, an all-in-one personal drone whose ease of use and powerful new features kick off a new aerial age. With computing power unmatched in the industry—from two integrated Linux computers, one on the craft and one in the controller—Solo delivers several world-first technologies, such as unfettered in-flight access to GoPro controls, including wireless HD streaming straight to mobile devices, and effortless computer-assisted Smart Shot flight features that allow even new pilots to capture professional aerial video from day one. Solo will launch starting at $999 in over 400 Best Buy stores across the U.S., with immediate in-store availability on May 29th. 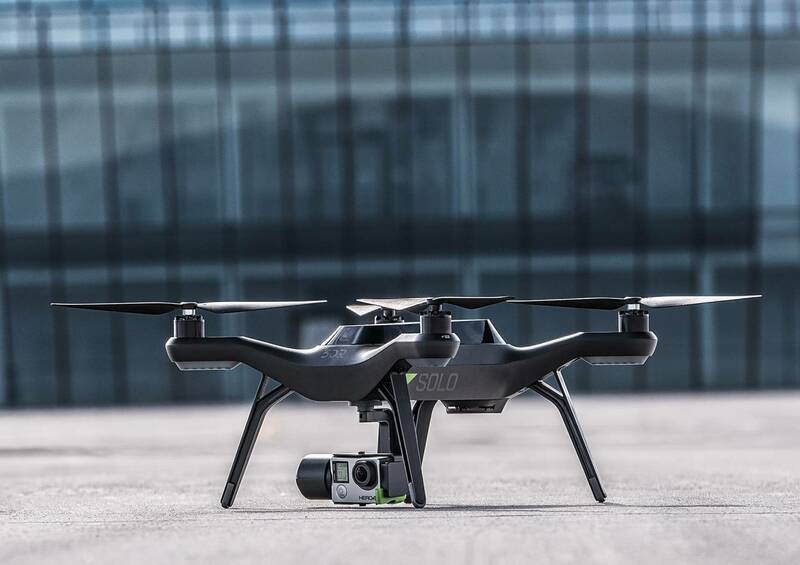 Customers can take home Solo and immediately experience the thrill of capturing stunning HD aerial photography and videography with simple, out-of-the-box setup. 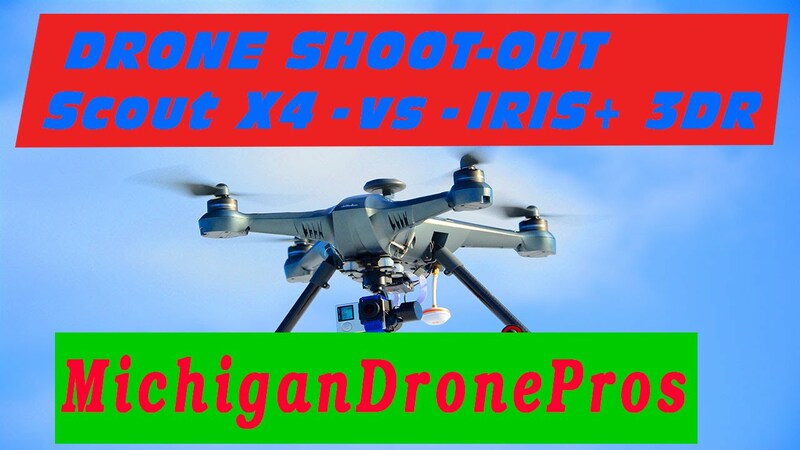 Effortless flight means effortless filming—less flight control; more creative control. Solo makes flying easier than it’s ever been with smooth and authoritative GPS satellite-guided flight, which also features auto takeoff and land, return home and the ability to instantly hit an e-brake and pause your flight midair. All these features are immediately accessible through the Solo mobile app or dedicated buttons on Solo’s remote controller. Solo’s intelligence unlocks powerful and one-of-a-kind computer-assisted Smart Shots (patent pending). Just set up the exact shot you want in real time, then tap “play” on the app and Solo will execute it with a level of precision and a soft touch that even seasoned cinema pilots can’t match. And with a list of Smart Shots to choose from, the perfect shot is always just a few taps away. Cable cam and Orbit allow you to create a known and safe flight path along a virtual track in space, freeing you to shift your focus to getting the shot you want; or simply hit “play” and let Solo fly itself while simultaneously working the camera for you, as smooth and even as an expert cameraman. Follow mode lets you go completely hands-free, while Solo keeps up with your every move. Solo also features a one-touch aerial Selfie for a dramatic and customizable establishing Smart Shot of you and your surroundings. It’s all in service of Solo’s guiding principle: Get the shot. Every time. Solo is the world’s first drone to wirelessly deliver HD video from your GoPro to your iOS or Android mobile device, at ranges of up to half a mile. Solo’s controller has HDMI output for live HD broadcast—to FPV goggles, high-quality field monitors, Jumbotrons at live events, even news vans—and with a staggeringly low video latency your live video is immediate and fluid for an “in-the-moment” feel. For instant social sharing of your aerial videos, you can even record the live video stream directly from the mobile app to your device’s camera roll. 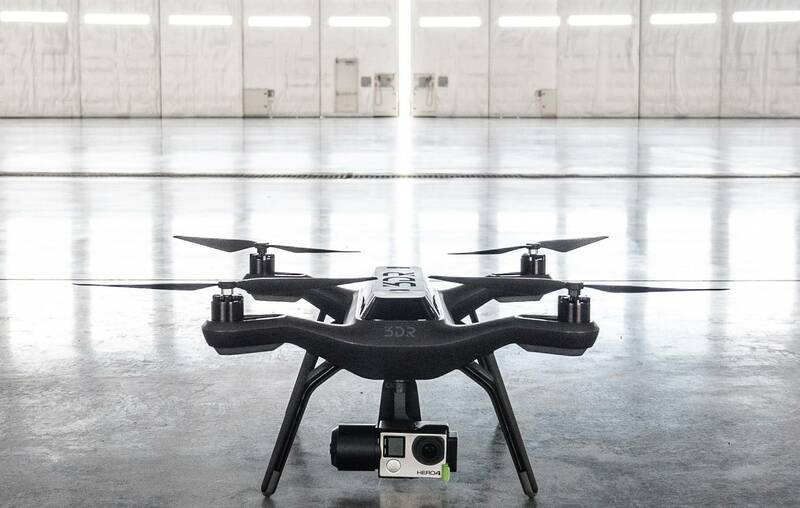 3DR’s mobile development team has focused its efforts on providing a user experience never before seen with a drone. The Solo app lets you control your GoPro, choose between a live view from the camera or a satellite view of your selected shot and even change how the controller responds to commands. Solo’s app allows for automatic cloud-based logging of your flights, instant access to technical support, on-device recording of the live HD video stream and even support for future web-based control of Solo. We’ve made sure that even new users will be able to fly Solo with confidence. An app-based flight simulator will allow you to fly Solo virtually, before you get off the ground. And when Solo is in the air, the “pause” button acts as an emergency airbrake, stopping the copter in its tracks until you’re ready to take control again. Additionally, you can create a virtual “safety net” within the app that limits how high Solo is allowed to fly. We worked closely with GoPro, the world’s most popular action camera company, to make the first gimbal capable of fully controlling the GoPro. Solo gives you the exclusive ability to start and stop recording video while in flight, which means that when you land you have only the shots that you wanted to take; when it comes time to edit you now have “fat free” footage, instead of dealing with huge, cumbersome files. You can also snap photos, change FOV, FPS and exposure compensation and much more—through Solo’s mobile app at long range, or dedicated buttons on the controller. The 3-axis Solo Gimbal stabilizes the camera to within 0.1 degrees of pointing accuracy and charges the GoPro so your battery doesn’t die during flight. Combined with Solo’s controller you get fine-grain tilt control, including angle presets and instant speed adjustment; or you can just create a Smart Shot, hit “play,” and Solo’s computer will fully control the gimbal for the perfect shot. The Solo Gimbal delivers all of these advanced capabilities while providing a painless and tool-free method of installing and removing the GoPro. 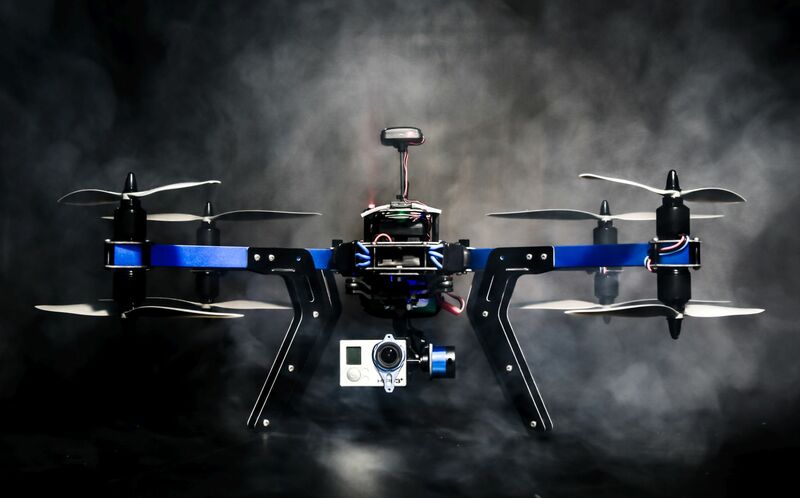 The Solo Gimbal is sold separately for $399. 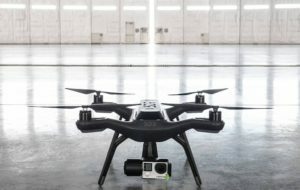 With a 1 GHz ARM Cortex-A9-powered Linux computer running on both the copter and the controller, Solo’s intelligence unleashes nearly limitless possibility and future expandability. Because we use the onboard computer’s processing power to do the heavy lifting, the autopilot becomes the “brainstem,” exclusively focused on executing the rudiments of stable and reliable flight, while the computer serves as Solo’s “frontal cortex” and handles the higher-level processing; this task distribution dramatically reduces the likelihood of autopilot system failure during flight. Solo’s smart technology not only allows us to introduce many industry-first capabilities today, but also gives us the ability to unlock future technologies—everything from a next-gen Follow mode to computer vision and true artificial intelligence. Solo only gets more advanced over time. 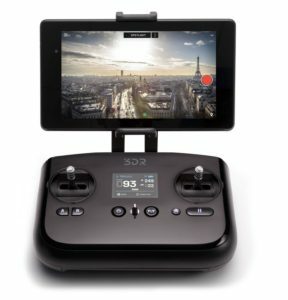 Thanks to the foundation of the dual 1GHz computers, a simple mobile app update includes updates for Solo’s computer, the controller’s computer, the autopilot system and even the Solo gimbal—all delivered wirelessly with on-screen feedback so you can see exactly what’s happening along the way. Gone are the days of using USB cables to update your drone. With ergonomics inspired by popular video game controllers, the aerial photography-optimized Solo Controller feels natural even to new users. It simplifies flight and puts control of both the vehicle and the camera at your fingertips, with dedicated buttons on its face for Takeoff, Land, Return Home and Pause, in addition to two user-definable A/B buttons. On the controller’s left shoulder is a paddle for fine grain tilt control; on the right shoulder are two buttons for presetting gimbal tilt positions and a knob to adjust the automatic tilt speed. Clicking the tilt paddle starts or stops recording on the GoPro and pressing both presets at the same time snaps a photo. The controller’s computer powers a built-in HDMI port, making live broadcast to nearly any type of screen as simple as connecting an HDMI cable. The computer also allows the controller to record 500 parameters of flight data to its internal memory as you fly, 10 times a second. Finally, the controller’s color display gives you contextual information about what’s going on in flight, eliminating the need to interpret blinking lights on the copter to get vital flight information, supplemented with haptic feedback—a gentle vibration that alerts you about critical things like a low battery and confirms all “long-press” actions (takeoff, land, set a gimbal preset, etc.). The Solo Smart Battery not only monitors Solo’s remaining battery charge but also helps to account for location, so that the mobile app can give you relevant warnings about when to start heading home based on Solo’s distance from you. The battery communicates with Solo’s controller, which displays not only your remaining flight time but also your present power usage, for better and more informed battery management. If you’re cutting it too close, Solo’s controller will even begin vibrating to alert you of the need to land ASAP. Solo was built from the ground up to be future-proof. To accommodate future technologies and expansion options, we’ve included a gimbal bay, an accessory bay and easy-to-swap motor pods with integrated speed controllers. The gimbal bay enables other companies to make specific plug-and-play gimbals or imaging devices, providing these devices with the HD feed to Solo’s mobile app, full camera control and even access to Solo’s computing power. The accessory bay has similar functionality but is designed for accessories other than gimbal and imaging devices, such as an optical flow indoor flight stabilizer, ballistic parachute system, LED lighting system and many more. Finally, the swappable motor pods allow you to easily switch out motors in the field if necessary, and they also leave open the possibility for integrating upgraded propulsion systems for Solo in the future. Even though Solo appears as a sleek, all-in-one system, it doesn’t exist in a vacuum. 3DR proudly supports a vibrant community of global developers who are leading the way in commercial and consumer drone applications, and thanks to the company’s partnerships with industry giants like Qualcomm, Intel and the Linux Foundation, this shared open drone platform is evolving exponentially. Makers everywhere can now easily create their own apps for Solo (and the platform) through DroneKit—3DR’s open application development platform for drones—and even take them to market for free via 3DR Services. 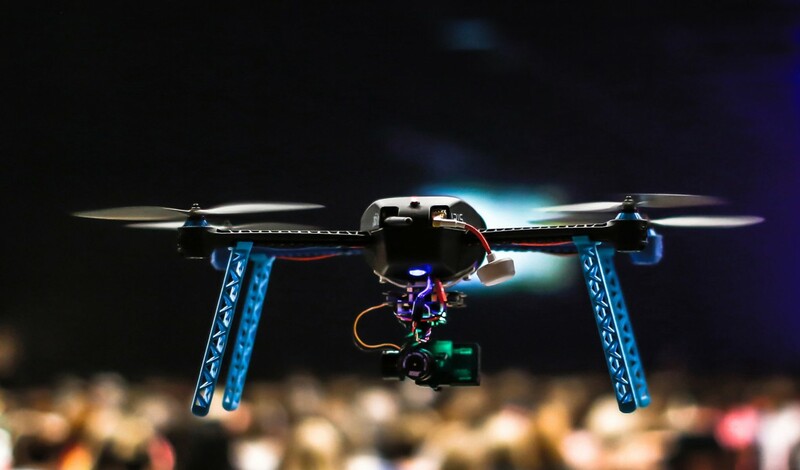 Our platform itself is stewarded by the international Dronecode Foundation, which welcomes and facilitates contributions of individuals and companies around the world. Solo is a unified instantiation of this extensible platform, which grows more useful by the day. And thanks to Solo’s usability and advanced processing potential, it’s one of the most important pieces, sure not only to drive innovation, but also to receive the benefits and deliver them to you. 3DR’s deep roots in the free and open software community have made us proud to offer open access to huge parts of our technology; this is why we’ve debuted the “Made for Solo” program, aimed at enabling small companies with great ideas to work directly with us and our manufacturing partners on developing and launching fantastic new accessories. Not only does this program make it easy for anyone to create new technology for Solo, it makes it easy for these companies to get their technology onto our retail partners’ shelves—and into your Solo. With a newly expanded support team of over 60 in-house technicians and a powerful new tech support solution built right into the app, 3DR is redefining what it means to offer world-class customer support. Solo keeps its own flight journal, continually logging information along over 500 parameters as it flies. You can analyze these files on your own, or instantly share them with our support team to aid in troubleshooting. Since Solo is continuously monitoring flight parameters in real time, if it suspects there’s been a problem, the mobile app will automatically offer the option of immediately submitting a service ticket via your mobile device. If the flight logs show Solo was lost or damaged due to a system error, 3DR will immediately repair or replace not only the drone, but the gimbal and the GoPro as well. In fact, we are so confident in the user experience that Solo offers, there’s even a limited 30-day satisfaction money-back guarantee. Solo will be available in over 2,000 retail locations worldwide starting in May in the U.S., and in June and July globally. In the U.S., Solo will launch at Best Buy, B&H, Samy’s Camera, Sport Chalet and many other premiere camera and electronics retailers. Throughout June and July, Solo will become available in 3DR-authorized premium retailers around the world, including Boulanger in France, Best Buy and London Drugs in Canada, Currys and Wex Camera in the U.K., Harvey Norman in Australia and Virgin Megastore and Dubai Duty Free in the U.A.E. Preorders for Solo will begin immediately.